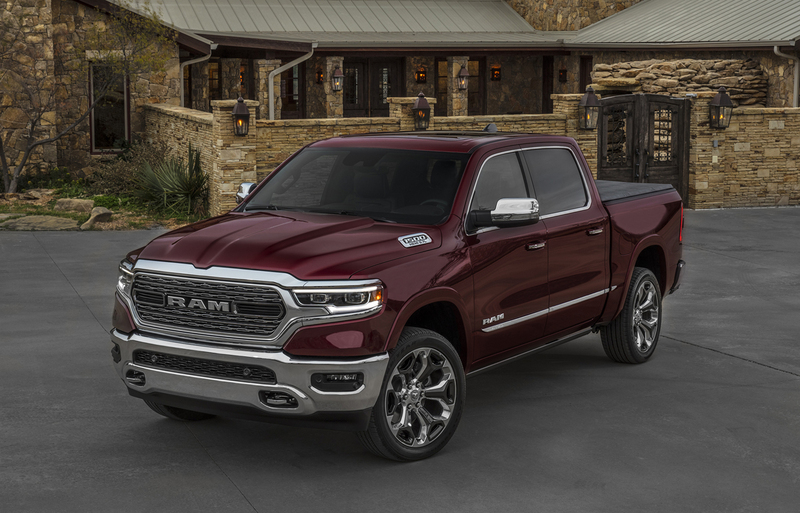 Making their official debut at the Detroit Auto Show, the all-new 2019 RAM 1500 trucks bring a new face of the brand, more power and efficiency, more capabilities and less weight. 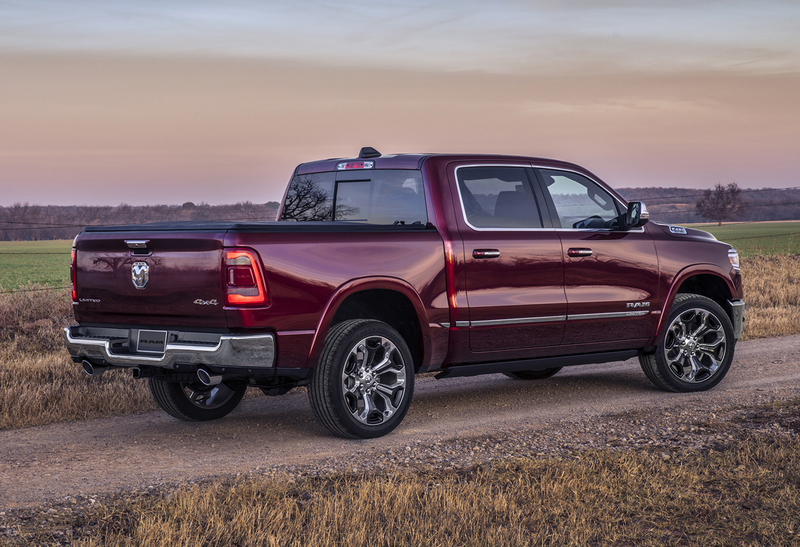 With weight savings being the key trend in full-size trucks, the 2019 RAM 1500 stays the most conservative in its dieting compared to Chevrolet and Ford with a maximum of 225 weight savings over the previous generation by staying the course of a steel intensive body. The design is all-new from the ground up with a fresh new face design that will feature more differentiation between trim grades than ever. 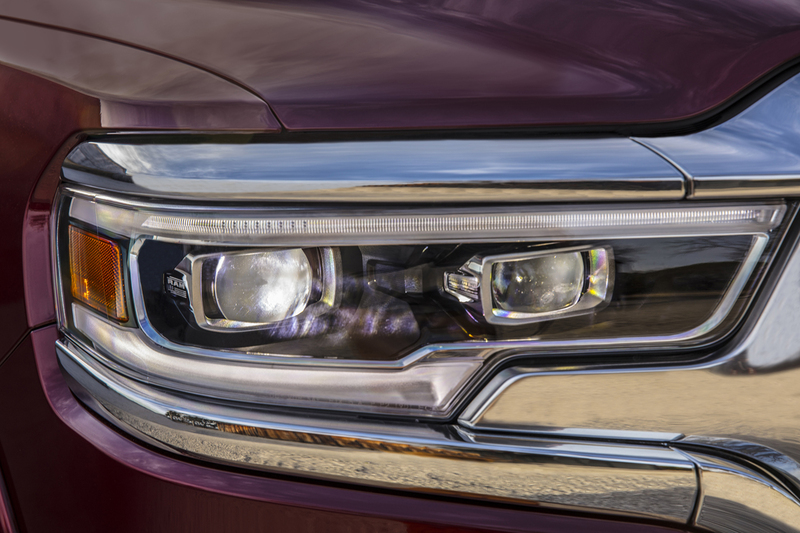 The RAM lettered grille now blends seamlessly into the headlight designs that range from basic halogen to full adaptive LED units. 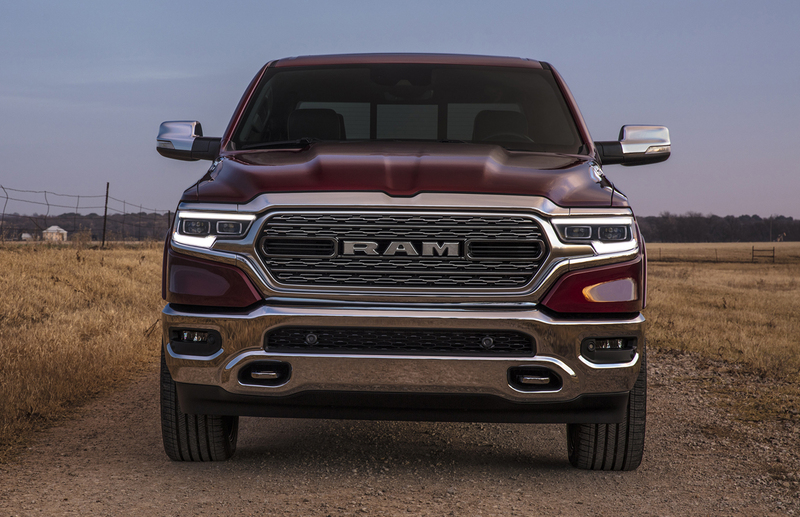 A bolder hood and fenders now look much more muscular than before while all coming together to be the most aerodynamic RAM pickup ever. 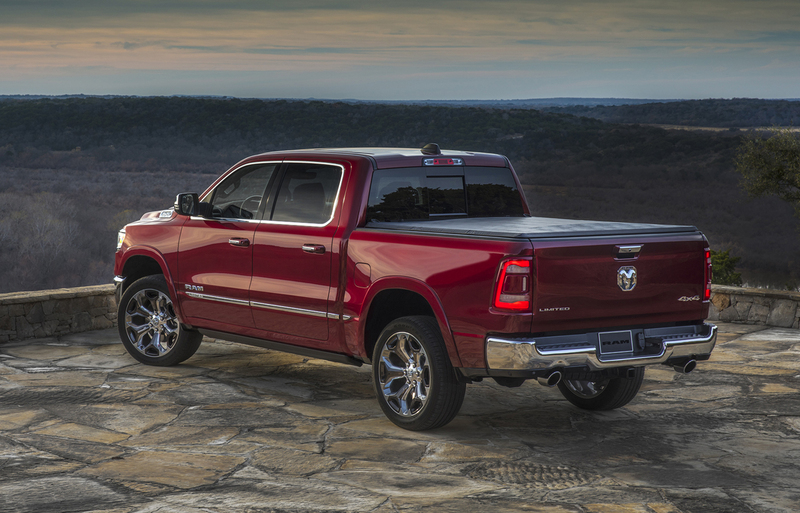 In spite of its lighter weight, the new 2019 RAM 1500 has grown in size, up to 4-inches in length and 5-inches wider. The bed sides are now 1.5-inches taller which gives more cargo box space and for the optional RAM Boxes. 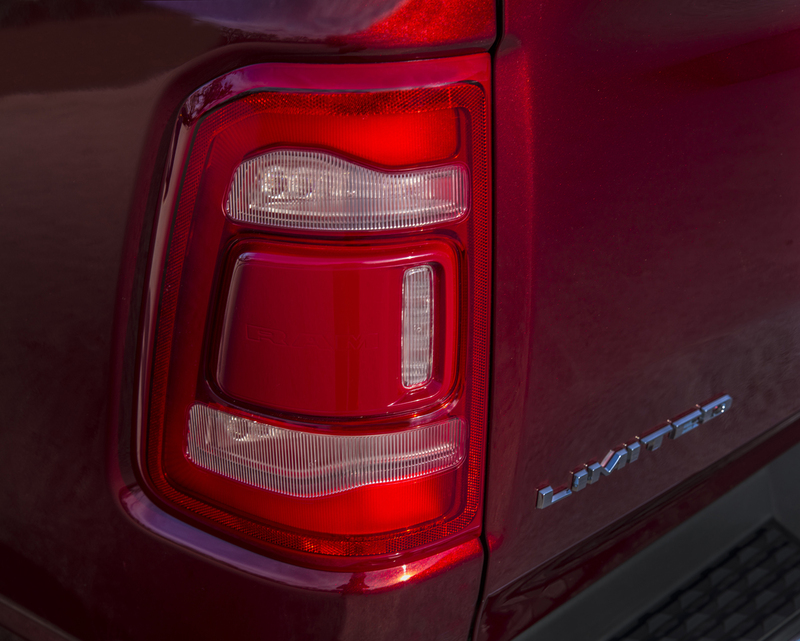 Tail lights come standard with halogen bulbs with LED on upper trim grades. Aluminum is now used in the rear tailgate which now has a gas charged assist for opening and closing. 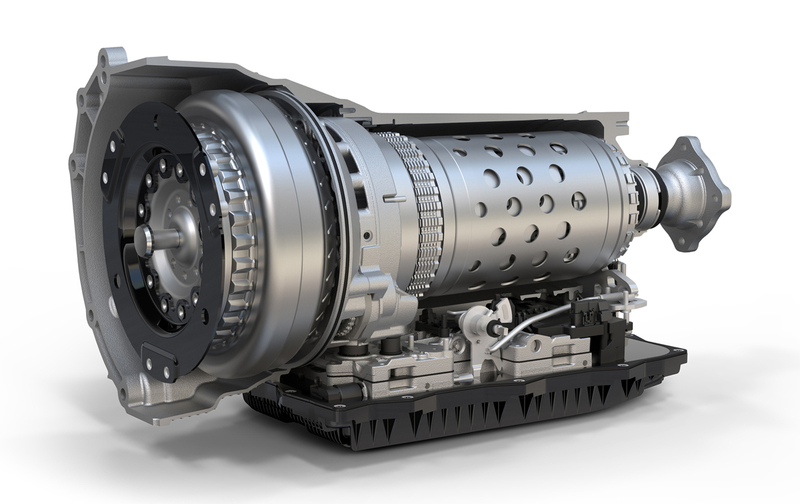 Some 16 new wheel designs are available from 18 to 22-inches in size and you might notice now move to a six-bolt lug pattern. 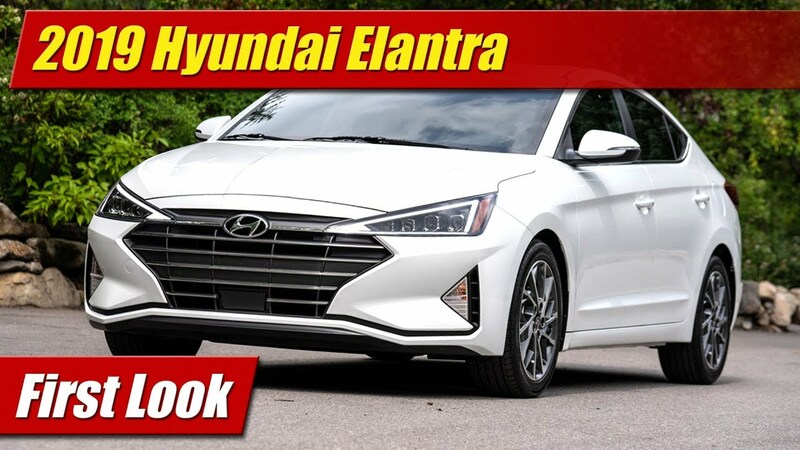 The interiors are completely rethought with new design and higher quality materials and premium upgrades like an available panoramic sunroof. There’s also a lot more space by way of the size increase, most of which comes to the cab size front and rear. 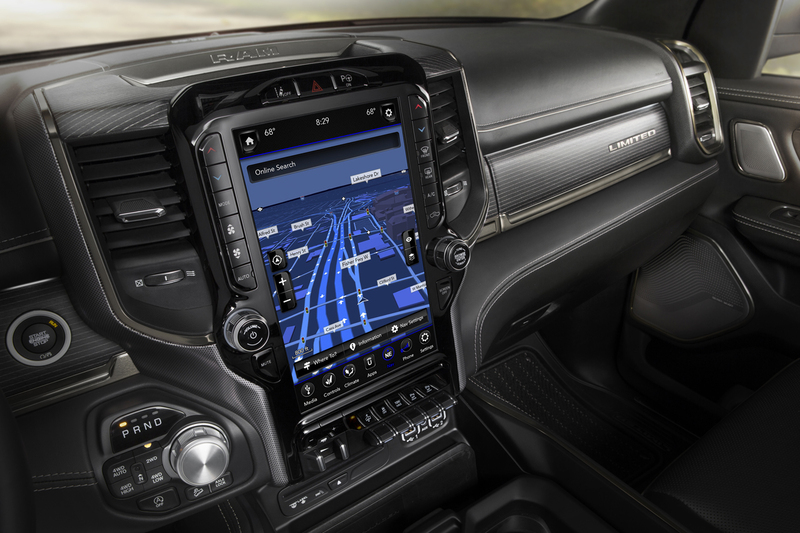 Big news is the large center stack control center available with a 12-inch portrait format infotainment touchscreen system. 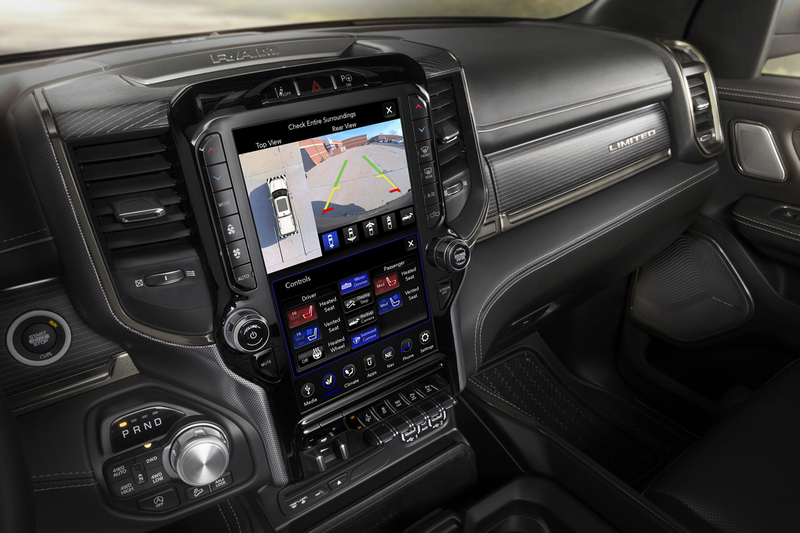 With split-screen design it’s reconfigurable to several layouts for audio, navigation, system information and more. 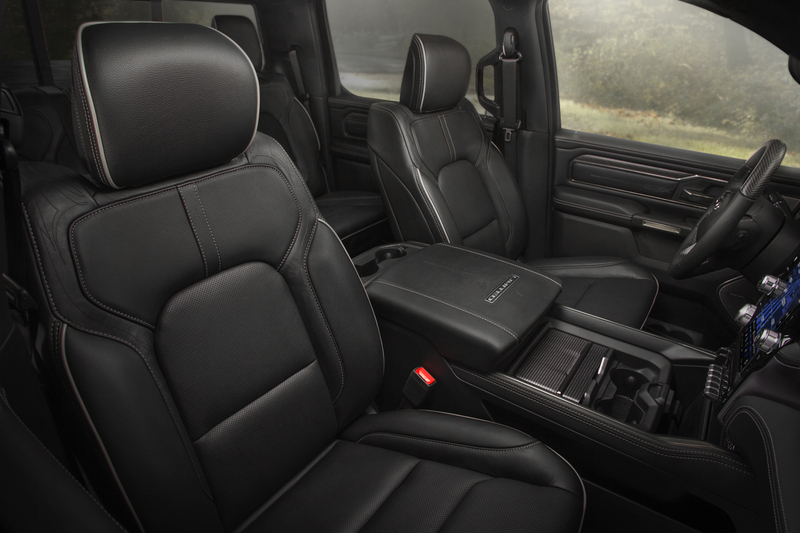 Behind it is an available 900-watt Harman Kardon audio system with 19 speakers and a 10-inch subwoofer. A new bank of assignable toggle switches for accessories is available along with a wireless charging dock and up to five USB ports for charging and connectivity. It’s not all about the toys though, the new cabs have more room than before. The second row seats can slide and recline. 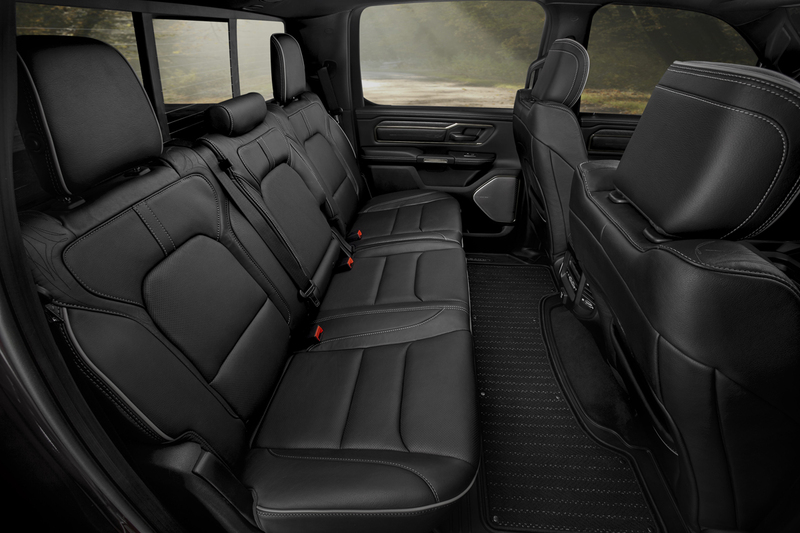 They can also fold for a flat-load floor and have expandable under seat storage. 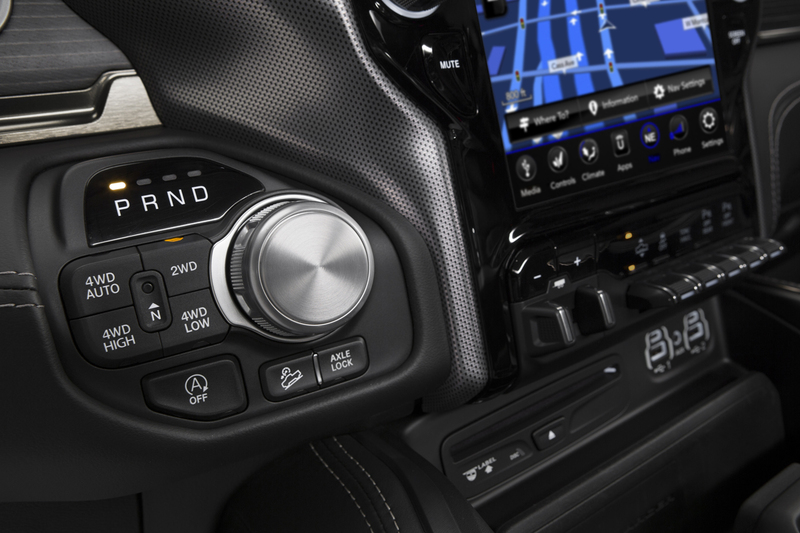 The center console also gets redesigned with even more storage area than before and now more customizable in how you use it. 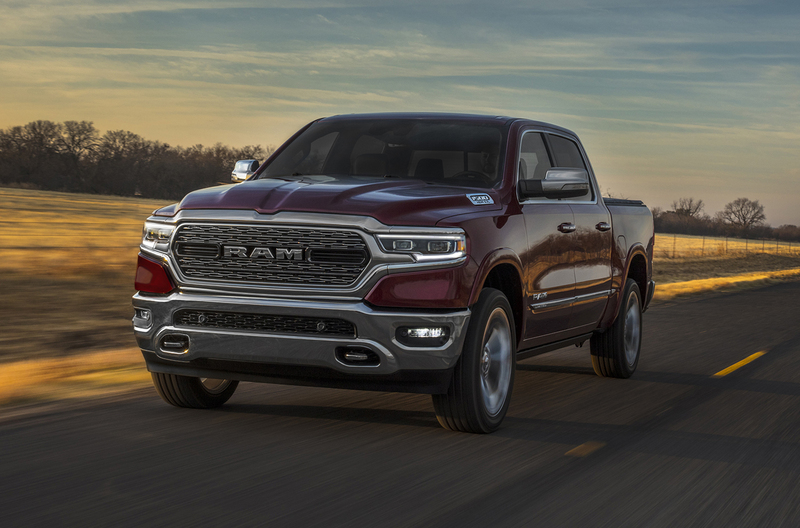 When it comes to capability, RAM upped the ante in all realms of powertrain and chassis to increase maximum payload to 2,300 pounds and trailer towing to 12,750 pounds when optioned out to do so. 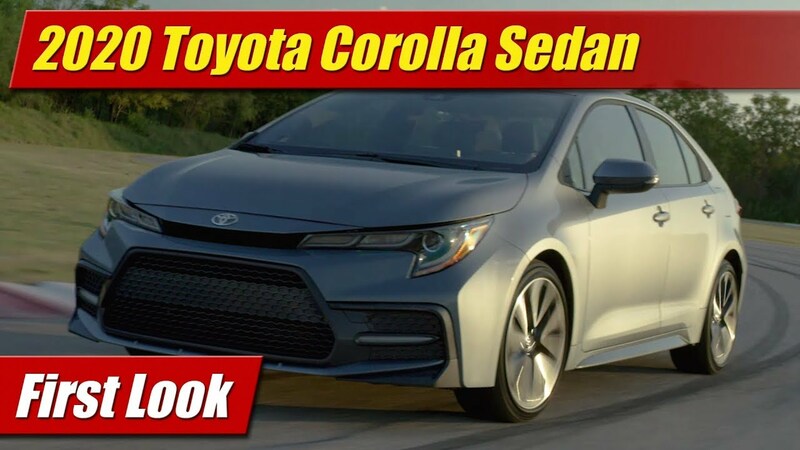 This starts with an all-new frame made of 98 percent high-strength steel that alone is up to 100 pounds lighter than before. 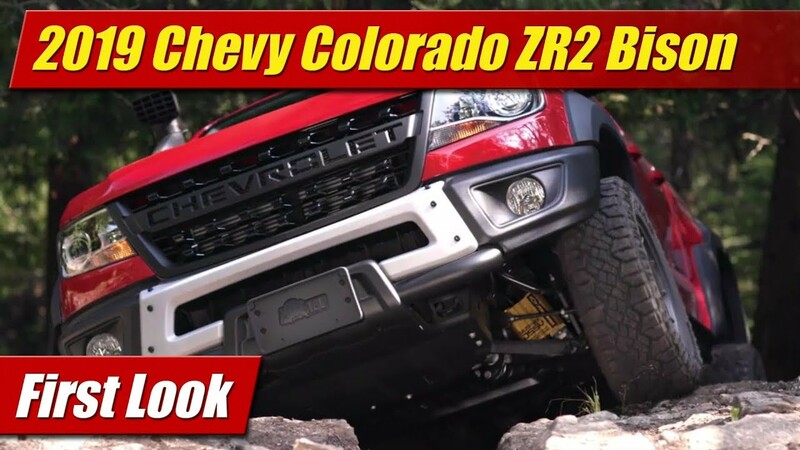 A new independent front suspension features weight saving plastic upper and aluminum lower control arms along with electric rack and pinion power steering. The front brakes are now the largest in class at 14.9-inches in diameter with a new electric parking brake added at the rear. Suspensions remain coil sprung front and rear with a fully automatic air suspension available as an option. When you add the 4×4 Off-road Package you get a 1-inch factory lift and an electronic locking rear diff among other things. 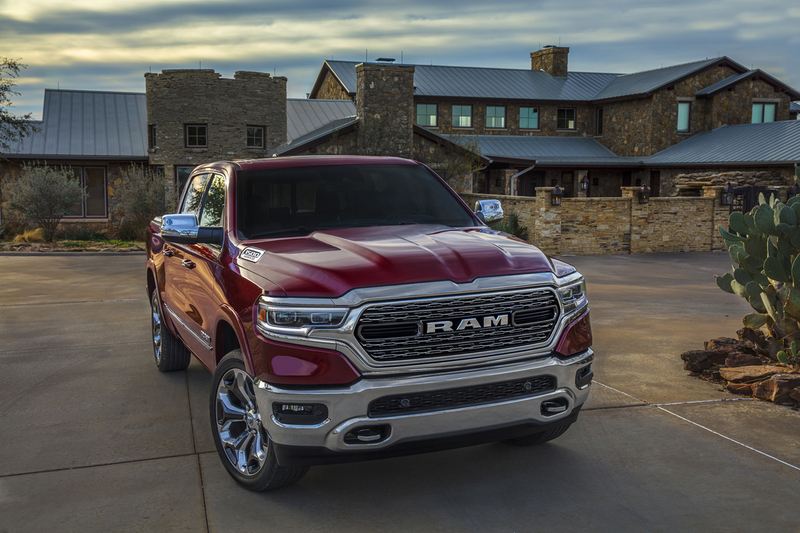 When it comes to powertrains RAM again stayed the course when it comes to technology, choosing to upgrade existing engines with a new mild-hybrid system instead of reinventing the wheel. 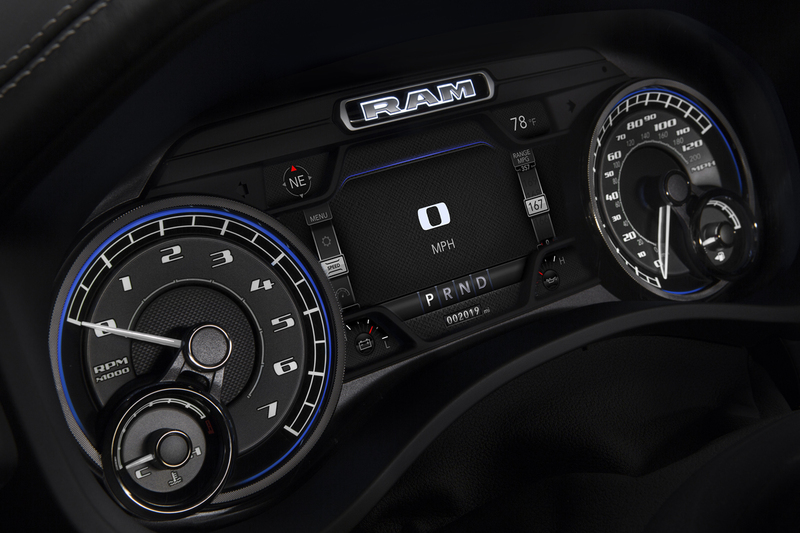 Both the 3.6-liter V6 and 5.7-liter HEMI V8 return along with an updated 8-speed automatic transmission. With a new eTorque belt-drive motor generator with 48-volt battery pack stowed behind the rear seat, the engines now benefit from additional short-term torque assist and brake energy regeneration along with an auto-start-stop function. 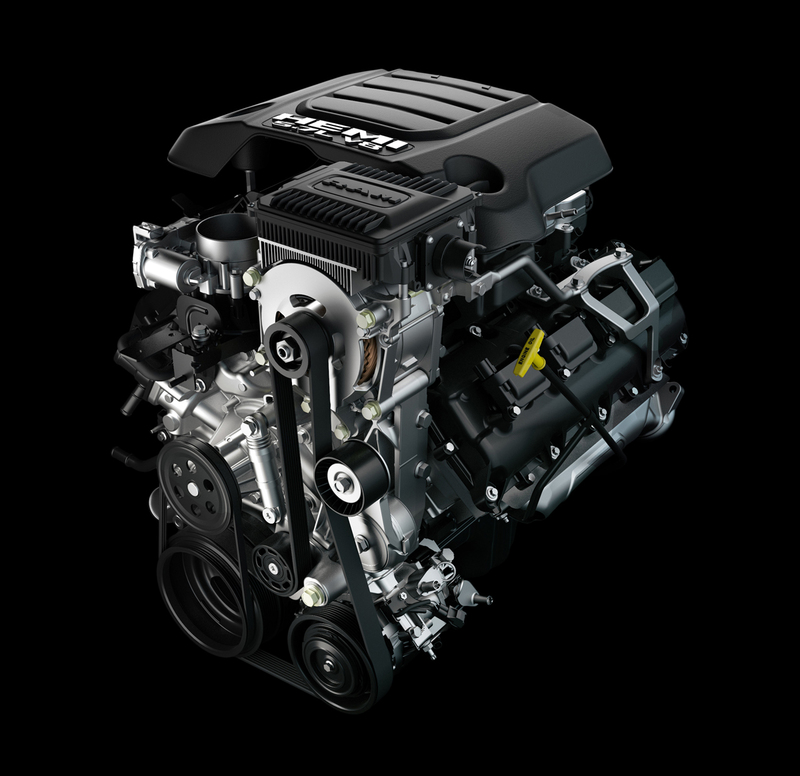 The 3.6-liter V6 is 305 horsepower with 269 pound-feet of torque, gaining an additional 90 pound-feet from the electric motor when it comes on. 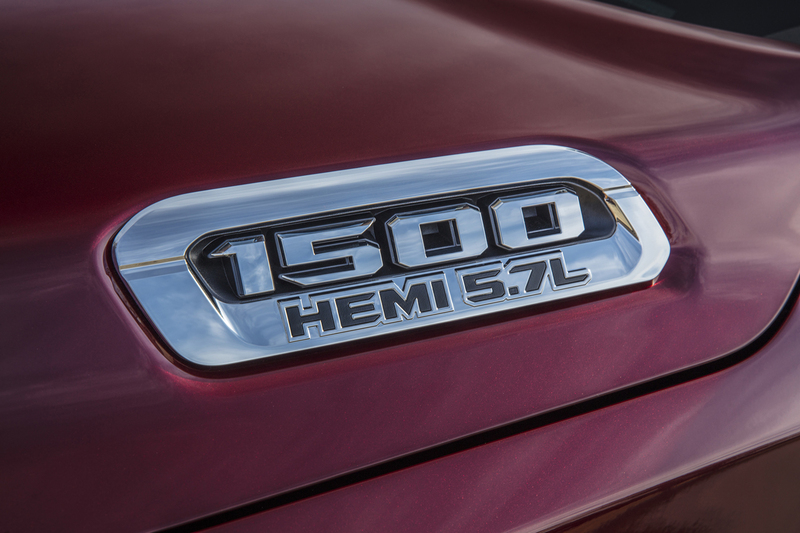 The new 5.7-liter HEMI V8 has 395 horsepower and 410 pound-feet of torque, gaining an additional 130 pound-feet of electric torque in short bursts. 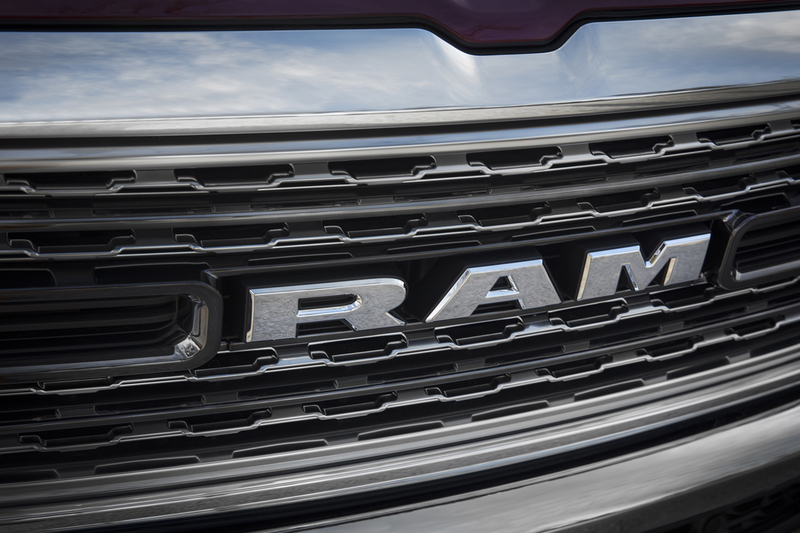 Both engines should see up to 10-percent increases in fuel economy says RAM. 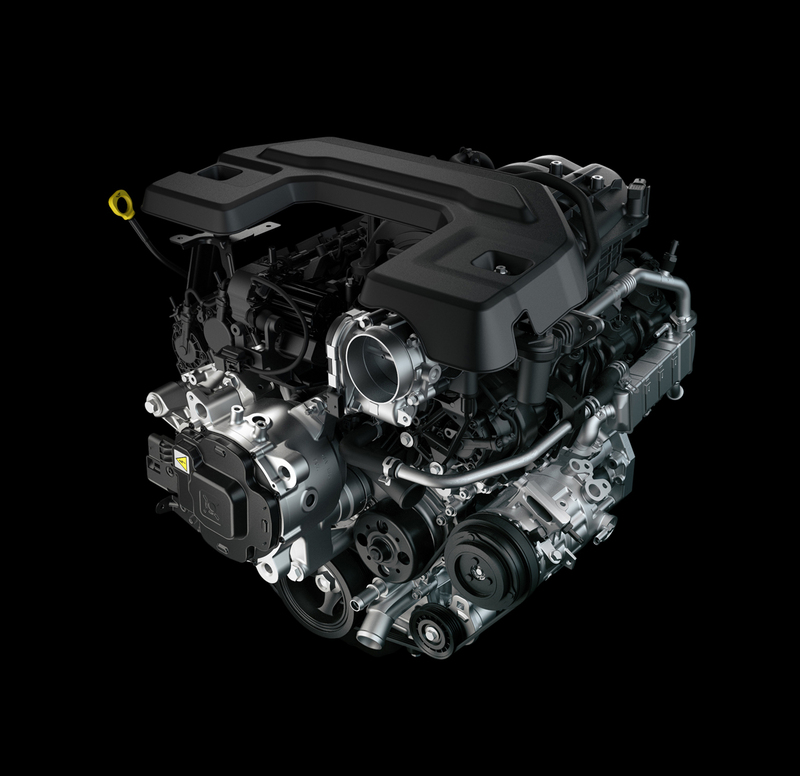 The 3.0-liter EcoDiesel engine will be along later in 2019 and while power figures haven’t been released we’re told they will better the competition from Ford and Chevrolet in their half-ton trucks. 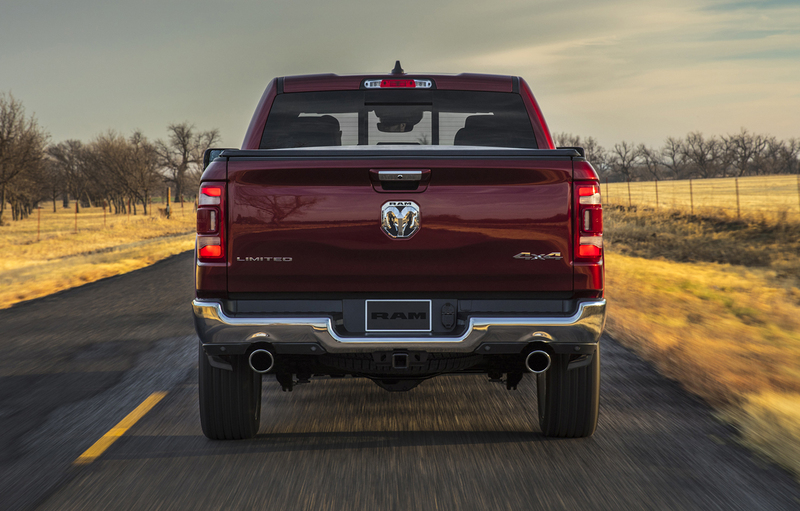 Since crash safety has been a concern with the current generation RAM 1500, the new frame design features key design changes including splayed frame rails and high-strength steel blocking plates to push front wheels outward in small-offset crash scenarios. How it actually performs we’ll know later down the road. 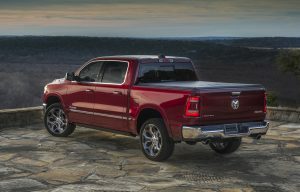 The 2019 RAM 1500 will be built at the Sterling Heights, MI plant and goes on sale later this year. Pricing and full specifications will be along closer to that time.